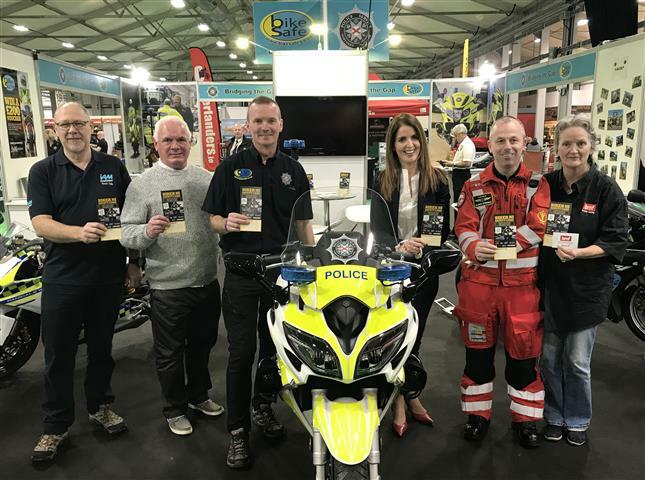 The Biker NI Safety Cards have been relaunched by a number of organisations at the NI Motorcycle Festival at the Eikon Exhibition Centre in Lisburn today. The useful card is for motorcyclists to record important personal details and medical history then place inside their helmet as a medic alert. The information will prove vital to ambulance crews if the motorcyclist is involved in a road traffic collision. The card also includes a detachable “Do not remove helmet” sticker to alert responders to the fact you are carrying the card and to remind others to keep the helmet in place until emergency help arrives. The cards were extremely popular when initially released and due to kind sponsorship from JMK Solicitors, the cards have been updated and an extensive print run has been completed. The cards are also being supported by Road Racing Ireland, NI Fire & Rescue Service, Air Ambulance NI, Bike Safe, NI Ambulance Service and Institute of Advanced Motorists. If you would like to receive a card, please email eadaoin.mccann@jmksolicitors.com or call 028 9032 0222 to order cards for you or your group.